We have featured a few of Contemporary Garden Rooms L-shaped buildings over the years, but this is the first one we have seen where the layout has been configured to create a self-contained home. The L-shaped layout lends it’s self to be a home, as it creates a good sized bedroom and living areas. All with good views of the garden. The QCB Garden Annexe goes on sale on 1 July with a lunch price of £24,995. The self-contained annexe features a modern kitchen, shower room and living/sleeping area. Also, the annexe has a good resale value should your situation change. Booths Garden Studios have developed an exciting new granny annexe that can be built without planning permission. The Booths team aim to install the building and undertake the necessary groundworks in just two days. As the QCB is a temporary building, it can be removed from your garden in just a day. We often talk about granny annexes in the garden, but they are equally appropriate for younger relatives looking for independence. At £1500 per sqm, this 8m x 5m self-contained annexe was a third of the cost of buying a similar size flat. Booths Garden Studios are just putting the finishing touches to the design of a low maintenance garden annexe/granny annexe building which they are calling the MyePad QCB. Zedbox is a modern home you can create in your garden in just five days, all at a great price point. 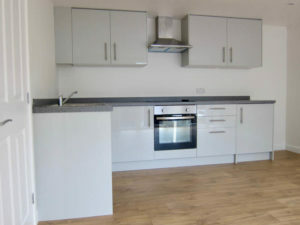 Ideal for young adults struggling to get on the housing ladder and older relatives to live close by.